"Have you read Proust?" 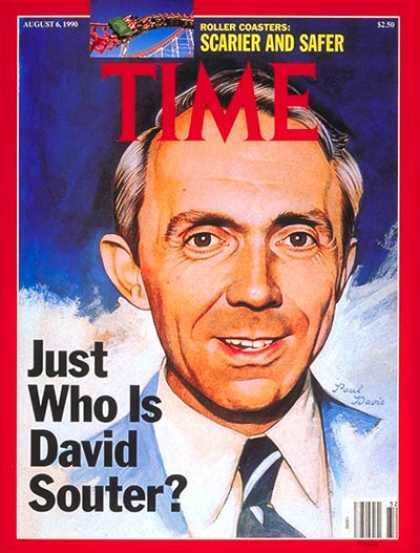 Justice Souter asked near the beginning of my interview for a clerkship last March. We were talking about Henry Adams, the subject of my college thesis, and so the question was unexpected. I hadn't gotten very far, I confessed; but Justice Souter was sympathetic. "I failed, too, when I tried the first time. But then I read him in a gulp one August, and was struck by the cumulative effect of the prose." Suddenly he smiled. "If I could take a year off from this job, I'd like nothing better than to go to a small college and teach a comparative seminar on Adams and Proust. The similarities are remarkable." Quoting from memory, he then recited the last sentence of The Education of Henry Adams: "Perhaps some day, -- say 1938, their centenary, -- [Adams and his friends] might be permitted to return together for a holiday ... and perhaps then, for the first time since man began his education among the carnivores, they would find a world that sensitive and timid natures could regard without a shudder." Click here to read the entire fascinating piece.